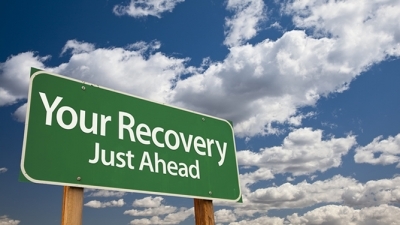 Rehab is an essential part of your recovery, but did you know that there is a lot you could be doing BEFORE your surgery that could help you maximise your outcomes? As physiotherapists, we call this time before surgery “pre-habilitation” or “pre-hab”. During pre-hab, we focus on building or maintaining strength and mobility in preparation for your surgery, to optimise outcomes and ensure you get the most out of your recovery. When you know surgery is pending, the first step is to see your physiotherapist. They will assess your current strength, range of movement and function in order to prescribe a suitable home exercise program in preparation for your surgery. These may also be the exercises you will incorporate during your rehab at some stage, so it is important to familiarise yourself with them early so you know what to expect. They will also provide you with knowledge of what your surgery, inpatient stay and outpatient rehabilitation experience will involve. They are there to answer any questions or address any anxieties you may have. You may need additional equipment in your home, such as an over-toilet or shower chair, or a walking aid once you leave hospital. Arranging purchase or hire of these things before your surgery will ensure a smooth transition home on discharge. If you will need to use crutches and have never done so in the past, pre-hab is the perfect opportunity to be taught and spend some time practicing. Knowing what you will and will not be able to do in the weeks following your surgery is important in assisting you to plan ahead. For example, if you know you will be on crutches for six weeks, you may need to arrange for someone to mow your lawn. It might be handy to pre-cook some meals and have them in the freezer so you don’t have to stand and cook in the kitchen. We want you to approach your surgery with confidence, feeling educated and prepared. Surgery can be a very overwhelming and confronting experience for some people. The better you can prepare yourself, the less overwhelming it will be.